On Run The Jewels’ latest album RTJ 3, the duo sample part of a 1967 Martin Luther King speech on ‘Thieves! Screamed The Ghost’: “A riot is the language of the unheard.” The intent feels clear, in a time when marches, protests and riots feel like the only way for the powerless to be heard over the scary din of the Far Right. This is not the time for silence. In his final column for tQ last year, the inimitable Gary Suarez spoke about how some of us might misguidedly hope for a hip hop boom out of troubled times: how, if nothing else, Trump, Brexit, etc might lead to a flourishing scene of protest music. He made the valid point that this slightly perverse sentiment is not only unfair but also unrealistic – you cannot expect rap artists alone to change the political climate, especially when it may well be a thankless task. Yet hip hop has always been a kind of protest music. Even though they might not have got all that much attention, last year saw certain rap artists such as Jay Z and A$AP Rocky endorsing Hillary, and it saw ‘FDT’. The tradition of hip hop making a statement isn’t something that is new in reaction to Trump – it has always given a voice to the concerns of those black Americans who remain largely discriminated against. Run The Jewels have certainly never been ones to shy away from their politics – Killer Mike tried to stand as a political representative in Georgia back in 2015, and famously endorsed Bernie Sanders, culminating in his interviewing Sanders for a video series during his campaign. When Sanders lost, Killer Mike refused to back Clinton, even selling t-shirts that depicted one of the leaked emails from Hillary’s campaign team (“I guess Killer Mike didn’t get the message”). Trump’s win was sad but unsurprising to Killer Mike: “Poor people got angry – and I think there just happen to be, in this country, more poor, angry white people”, he said at the time. The record starts with elegiac sensations of hope on ‘Down’, and these propel you through the album - later on ‘2100’, Killer Mike spits: “You defeat the devil when you hold onto hope." Without hope he knows things are bleak, but without spelling it out he encourages the resistance that we’re now seeing worldwide. The same track opens with “How long before the hate that we hold lead us to another Holocaust?”, before talking about how “nuclear’s too near”. They acknowledge the hate and fear that has risen in the States, and - mere weeks into Trump’s presidency when we’re protesting his Muslim ban and other devastating policies - this record feels incredibly of the moment. It might not have as many thrilling moments as its predecessor, but it feels more important. 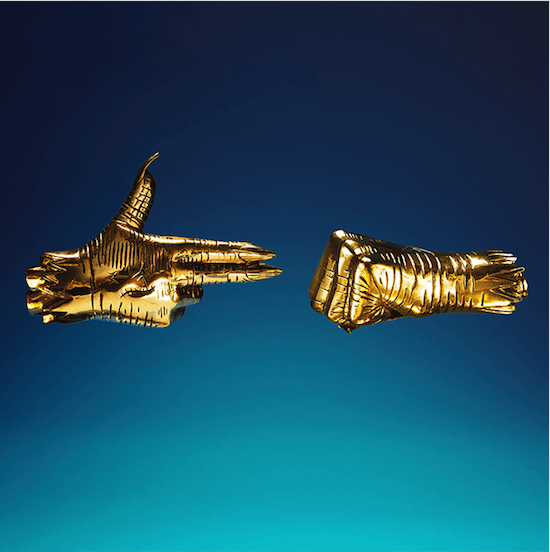 There is rage, resistance and hope to cling onto on RTJ3, and now more than ever those things are necessary to keep ourselves afloat. Her name is one that started cropping up in the midst of the Iggy Azalea controversy, but wherever you fall on that debate there’s little to find objectionable about Tkay Maidza’s output. This Australian’s sound recalls MIA, Santigold, even Nicki Minaj: that bright and boisterous end of hip hop. The album is a sugary and propulsive blend of rap, R&B and anthemic pop songs that wouldn’t sound amiss on a Charli XCX record. Perhaps none of this makes her seem especially unique, but what is particularly striking is the sheer sense of fun when she gets it right: ‘Carry On’, which features Killer Mike, is a gloriously propulsive banger that samples a mesmerising Bollywood track. “I know you feel the heat because I’m nothing less than fire” is the kind of playfully braggadocio lyrics that somehow makes Maidza endearing. It feels condescending to say this is good “for a UK hip hop record”, but it’s worth noting Loyle Carner’s provenance solely because the South London boy’s oeuvre is far removed from grime and the more ballsy sounds that have recently come to be associated with UK rap. Instead, this is a record with rich and gentle Madlib-style production and an impressively candid, warm narrator. There’s something comfortingly honest about him missing the days where he could fall back on his student loan, about a friend texting a girl at 2AM because he’s lonely, about the way his music seems to evoke rainy days on the sofa chatting with your loved ones. It’s not without flaws – ‘NO CD’ tries to be more forceful and gritty somehow, and it feels incongruous. Overall, it is his relationship with his family that makes this a beautiful listen: the sincerity is endearing rather than cloying when he talks with his mum throughout the record, when he mentions his step-dad, and when he throws in an off-hand comment about his biological father (“I wonder why my dad didn't want me”, he says on ‘Isle Of Arran’). ‘Florence’ is a standout, when he conjures up the “little freckle-faced fidgeter, me but miniature” sister he’s always wanted. Riding high on Atlanta’s bubblegum trap wave, teenager Kodie Shane is a part of Lil Yachty’s Sailing Team (which also includes Byou, Kay the Yacht, JBan$ and more). When Yachty’s ‘All In’ dropped last year, showing off the whole crew in the Brady Bunch-style video, it was Kodie’s verse that stood out – her assertive blend of singing and rapping is striking, and not just because she’s the sole female member of the team. This EP just serves to reinforce why she’s one of the group’s most exciting prospects: Zero Gravity is sweet and energetic, spanning R&B and hip hop, all with that distinctively cartoon-y production and bouncy Lil Uzi Vert-style delivery (particularly on ‘Drip In My Walk’. ‘Sad’, a duet with Yachty, is impressive in its simple but effective outro recalling youthful crushes: “I just wanna be sad for a minute / I’m sad, please call my phone.” If Lil Yachty’s success is anything to go by, Kodie Shane is going to be huge. This is easily the most anticipated hip hop album of the year so far, after the wildly good ‘Bad And Boujee’ went platinum in the US and - at the time of writing - is top of the Billboard Hot 100. Where Migos’ Yung Rich Nation failed to really indicate something special or live up the post-‘Versace’ hype back in 2015, there is a confidence to C U L T U R E. The Atlanta trio are known for their trademark repetitiousness, their ever-staccato inflections in delivery, but C U L T U R E also has a distinctly dark and minimalist production. Nard & B-produced ‘T Shirt’, for example, has a seductive yet ominous swirl to its stark melody, perfectly underscoring Takeoff’s choppy flow. Donald Glover called them our generation’s Beatles, and while that might be a little overblown, there’s a lot to love here: it’s a record of stunningly triumphant ambition. ‘Deadz’ with 2 Chainz is especially sublime, all breathtaking grit and glory, as they lean into that classic trope of hip hop bravado – counting their money. The debut EP from one of South London’s finest blazes with promise and potency. MOBO-winner Nadia Rose’s style is a bouncy hybrid of hip hop, grime and garage and the record twinkles with an engaging electric vibe that’s as laden with fun as it is with old school attitude. ‘Skwod’ perhaps remains her catchiest banger, with wry insights into a night out with her and her squad (“If the lighting’s good you have to take your phone out, bare skin, teeth when we pose for photos”). As much as representing grime and hip hop, there’s also the teasing bass of tracks like ‘U Know What’, ‘Tight Up - Red Rat’ and ‘Puddycat’, showcasing an excellent proclivity towards sweaty, exuberant bashment tunes. Rose’s EP encapsulates the sounds filling up London dancefloors right now. Donald Glover is not the first rapper to channel Funkadelic, nor will he be the last – but this George Clinton-inspired record (in which he all but ditches rapping) is still worth a listen. There’s a real strut to the album, which proudly wears its cosmic influences on its sleeve, and it’s ultimately a whole lot of fun: think uplifting choruses, yowling and weird, psych-y licks of guitar. Admittedly, it feels at times like more of a tribute album – like Childish Gambino is indulging in a long-held funk fantasy without necessarily contributing something new to the table. It’s a fine tribute, absolutely, and there’s some smooth, gorgeous music – just, by the end you’re perhaps more likely to revisit Maggot Brain than to immediately re-listen to “Awaken, My Love!”. It’s a statement of intent to release a new mixtape on the first day of the New Year, particularly when Chicago’s Chief Keef has been absent since December 2015’s ‘Nobody Two’ – which wasn’t exactly his finest work. With production split between himself and one of trap’s finest, Lex Luger, on the this latest release, it’s interesting how the tape doesn’t appear to have been mastered – it’s got a somewhat all over the place sound (though, admittedly, this isn’t unusual for Sosa). There are vast soundscapes here, catchy hooks, unpredictable melodies and the occasional interjection of weird, distorted falsetto vocals: it’s a long tape, and it gives him room to experiment a bit. ‘Reefah’ is an especially enthralling track that shows off his assured (if softly-spoken) delivery over dissonant production, while ‘Knock It Off’ hears him pouring out a variety of flows over a looping line of piano. At 17 tracks it’s bloated though, and while it’s not lacklustre per se, it’s hard to get a gauge on his mindset: though he cracks his wry one-liners (“I love money like Jay love D’Ussé”), Chief Keef sounds inscrutably despondent. It’s a bold statement of intent to open your mixtape with the juvenile theatricality of Nile Rodgers’ ‘Arrival Of The King’ from the Coming To America soundtrack, especially when you add the bravado-laden refrain of “the don is coming”. But it is exactly this confidence that makes Stefflon Don such a presence (even if said opening is a little ropey when compared to some of the glorious tracks on this tape). Stefflon Don, real name Steph Allen, came to the fore after her remix of ‘Lock Arff’ back in 2015, and after a year of buzz the end of 2016 saw her drop Real Ting – and it’s great. There’s the sensual bashment of ‘Tight Nooki’ (featuring Jeremih) and ‘Envy Us’ (featuring Abra Cadabra), the slick R&B of ‘Gangsta’, and there’s even a track that seemingly samples part of a Margaret Thatcher speech. On ‘Family Affair’ Allen and her brother harrowingly dive into their youth over a house-beat. The whole thing is fierce, searing and intensely impressive. Under Construction was out 15 years ago this year, and in fact it’s been 12 years since we’ve had any albums from Missy. What we’ve had in the interim has included ongoing production work, that 2015 Superbowl performance where she (and Left Shark) stole the show from Katy Perry, and the feel-good poppy track ‘WTF (Where They From? )’ with Pharrell. With the drop of ‘I’m Better’, Missy proves she still knows exactly what’s up – it sounds like she’s been listening to current anthems like ‘Bad And Boujee’ and distilling the essence into her own flavour. Of course, right from ‘Rain’, Missy’s had that whole dissonant minimalism thing down, and this feels as much a hark back as something edgy and new - the same is true of the video’s aesthetic. Featuring Lamb, the track is deliciously spacious, but also annoyingly anticipatory and teasing: as she refrains “I’m better, I’m better, I’m better”, she tantalisingly reminds us why we’re desperate for the full-on return of the queen. Do we need to be talking about Gucci’s Christmas-time album now it’s no longer the festive season? The answer is of course yes, not least because his post-prison releases have been coming in abundance, and they’ve all been pretty solid. East Atlanta Santa opens with ‘St. Brick Intro’, the silly but kind of incredible take on ‘Jingle Bells’, but from there on - though the production from Zaytoven, Mike WiLL Made-It et al remains wonderfully polished throughout - things are less obviously novelty and yuletide-themed. The roster of collaborators is impressive - Bryson Tiller, Travis Scott, Drake - and yet the record is at its best and most enthralling when Gucci is solo. Overall it’s a little inconsistent, but it’s still a decent, at times quite captivating trap record – plus being able to make Santa seem legitimately street is an impressive feat.